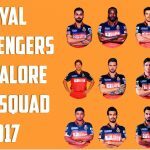 Mumbai Indians Team squad 2017 IPL MI players official list Indian Premier League. IPL 2017 Mumbai Indians T20 team players for 10th season of IPL. 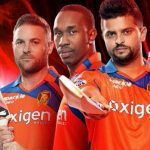 Officially announced players names in IPL 10. 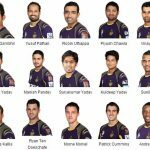 The former champion of Indian Premier League has announced their team squad for the 2017 season and according to that, Rohit Sharma is still captain of the team, while owner have brought many foreign players in the team including some new names from the international cricket. Jos Buttler, Asela Gunaratne, Kieron Pollard , Mitchell Johnson and Tim Southee in the team. 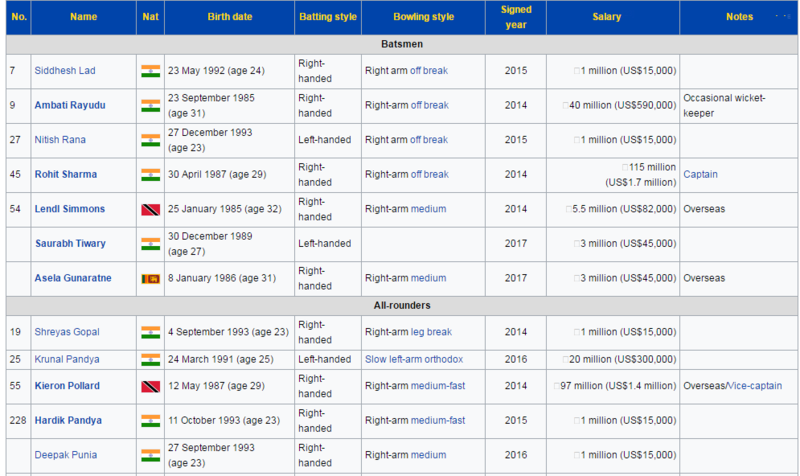 This time Mumbai Indians have the best players in their official team squad in which Mitchell Johnson, the dangerous bowler is included as well as Lasith Malinga. The two fast bowlers in the team could make some serious and dangerous appearances against all kind of oppositions. Lasith Malinga did not play a really fruitful cricket in recent two years, as he was going out of form, but he made his comeback in the Big Bash T20 league held last year in Australia. On the other side, the master batsman Rohit Sharma will be the key player of Mumbai Indians as he played a wonderful cricket in the last three year making too many records. He is a really talented and danegrous batsman at any format of cricket including Test, T20 and One-Day International. Tim Southe and Mitchell McClenaghan, both of these New Zealanders are ready to take part in the Mumbai Indians team for Indian Premeir League season 10 and that’s a really big contributions by the buyers of Mumbai Indians because these two players could be fruitful for the franchise as they have got guts to perform on any pitch conditions and play the best T20 cricket. Kieron Pollard is a solid and strong part of Mumbai Indians, he has showed his aggression on the field with bat and ball both playing some match winning innings for his team. On the counter side, Jose Buttler and Nicholas Pooran are in the Mumbai Indians team to make their team squad more aggressive and strong against any kind of opposition. This is also an interesting, but excellent addition to the former champion of Mumbai Indian team for the 10th season of Indian premier league.